Death of first Terran civilization, building of the Sphinx, birth of the Emperor. Birth of Khorne, Tzeench & Nurgle (gods of chaos). Eldar learn secrets of warp technology from the Slann. Old Slann culture dies out and/or leaves. Slann warn Eldar of the fall. Beginning of Second Epoch, major cultural, natural and technological changes and disasters nearly destroy Mankind but Man prevails and prospers once again. Humanity begins to colonise nearby solar systems using primitive sub-light spacecraft. At first progress is slow and the new colonies must survive as independent units isolated from Earth by up to ten generations of travel. The period of the next ten thousand years will later be known subsequently as the Golden- and Dark Age of Technology. Keeper Cripias records this as the end of the Golden Age. The Golden Race of Men (Terrans) becomes depended on the Stone Race of Men (Martians) and their artifices and as such the Stone Men prevail. Sometime within the next 5,000 years the Men of Stone create the Iron Men (Robots and Titans) to help in the building of their Empire. Humanity explores and settles the galaxy following the discovery of Warp drives allowing more rapid dispersion, first alien races encountered. All done in less than 1000 years. Navigator gene isolated, Navigators are powerful psykers able to pilot ships through the warp, and so warp travel becomes even faster. Navigator families and cartels become powerful political entities. The Expansion of Humanity covers most of the galaxy, Standard Template Construct (STC) system is perfected to aid new colonies. Titans are developed for rapid land movement. Squat history begins with the Age of Founding. The mining colonies of the Home Worlds are in constant contact with Terra and the Squats show no distinction from normal Humans. Alien wars. Mankind encounters and fights with Orks and Eldar. Appearance of abhumans: Homo Sapiens Giganticus, Rotundus and Minimus. Major civil wars. Civilisation begins to crumble as widespread insanity and insurrection tear many colonies apart. Many worlds fall to daemons who possess unprotected psykers and subjugate worlds. Horiax Treatise mentions genetic alteration techniques. The Eldar Maiden Worlds are seeded. Keeper Cripias' history states that at this time, the Stone Men and Iron Men (now grown from servants to equals) fall into warring with each other. The Iron Men have no soul and the Stone Men in the final acts of self-preservation, annihilate the Iron Men, including those who remain loyal, in battle. Thus the Age of strife begins. Warp Storms isolate many parts of the galaxy including Earth and the Squat Home Worlds. This marks the beginning of the Squat Age of Isolation. The Home World mining colonies become self-sufficient, independent strongholds. During this period the Engineers Guild develops into a sociopolitical power and strongholds form complex political and trading agreements that become Leagues. The Cult Mechanicus is founded on Mars as a survival mechanism to maintain the technology necessary for life on the planet. The Cult constructs their High Altar and builds their vast fighting machines based on Titan technology. The Mechanicus spacecraft are unable to leave the Sol system. A slight abating in warp storms leads to encounters between the Squat Home Worlds and alien races known as the Age of Trade. Squats use their tremendous mineral wealth to trade for weapons, foodstuffs, and high-tech systems with the Eldar and Orks. During conflicts between the Orks and Eldar, the Squats remain neutral and maintain trade with both sides. Studying the pattern of warp storms, Mars prepares massive expeditions consisting of entire Titan Legions and thousands of servitors to explore the galaxy. The successful colonies become the Forge Worlds and Knight Worlds of the Adeptus Mechanicus. This process continues throughout the Age of Strife. A probe is dispatched from Terra, its mission to reach the utmost limit of the universe (14,000 years later it has yet to begin its return trip and many of the signals identified sent by the probe have been Orkish in nature). Civil war on Earth - No longer able to acquire sufficient food or resources and without access to the wider galaxy, Earth devolves into petty fiefdoms ruled by warlords. Billions die as a result of war and starvation. Grunhag the Flayer, Ork Warlord attacks the Squat Homeworlds with a huge fleet.Many strongholds are wiped out by the Orks, the epic ballad "The Fall of Imbach" commemorates one such destruction. This marks the beginning of Squat hostility towards Orks and distrust towards Eldar who stayed neutral in the conflict. This marks the end of the Age of Trade and the beginning of the Age of Wars between Squats, Eldar and Orks. Earliest modified warriors aid the Emperor in conquest of Terra. Earth is reunited under a new leader (the Emperor), this warlord begins a slow push to the stars. Upon his arrival on Mars, the Emperor is recognized as the Cult Mechanicus' Omnissiah of legend. 20 Primarchs are genetically created as a new super human race by the Emperor: Lion El'Johnson, Fulgrim, Perturabo, Jaghatai Khan, Leman Russ, Rogal Dorn, Night Haunter, Sanguinius, Ferrus Manus, Angron, Robert Guilliman, Mortarion, Magnus the Red, Horus, Lorgar, Vulkan, Corax and Alpharius. The Chaos powers recognise their potential and scatter them across the galaxy. Eldar build Craftworlds heeding the warnings given to them by the Slann. Fall of the Eldar: Eldar society teeters on the brink of Chaos and finally collapses, thus creating the Chaos god Slaanesh. Slaanesh's pyschic scream tears at the universe and all Eldar within thousands of light years are destroyed in an instant. A vast black hole opens and the Eldar worlds are consumed within it. Only a few of the fleeing Craftworlds furthest away from the epicentre survive. Today this black hole is known as the Eye of Terror. This rift caused warp storms to become passive and human worlds throughout the galaxy were brought into contact once more. The Age of Strife ended and mankind replaced the Eldar as the galaxy's most vital race. Founding of the Astronomican, a psychic navigation beam directed by the Emperor himself. Interstellar travel becomes easier and quicker. Age of the Imperium begins with the Great Crusade, for the next two hundred years, the Emperor and the Space Marine Legions gradually carve out the scattered Imperium of Man. During this time the Emperor is reunited with the Primarchs who are united with their Marine chapters. The greatest of the Primarchs is Horus. Human galaxy reclaimed under Pax Imperialis. Accelerated gene-culturing techniques are implemented, reducing processing time to create a Space Marine to a single year. There are unseen fundamental flaws. Eldar Shrine of Asur founded. The Lunar Wolves are renamed Sons of Horus in honor of their Primarch following the Warmaster's Ullanor Campaign. Magnus the Red compiles the so-called Book of Magnus, also known as the Book of the Thousand Sons, filled with arcane lore from across the galaxy. Within 500 years of the Fall, the Craftworld of Altansar is swallowed into the warp leaving only Maugan Ra. Scouring of Istvaan III. Warmaster Horus, with the Worldeaters, Emperors Children, Death Guard and Thousand Son's Marines virus bomb and suppress a minor rebellion. Loyal marines aboard Frigate Einstein escape with news of Horus's corrupt activities. Horus Heresy begins. After several months, the Emperor orders seven legions of Marines to assault Istvaan III. Iron Warriors, Night lords, Word Bearers and Alpha legions defect to Horus, the other three are destroyed. Marines fight Marines all over the galaxy. Space Wolves attack Thousand Sons homeworld of Prospero forcing the Thousand Sons to declare for Horus and flee to the Eye of Terror, during the pursuit the thirteenth company of the Space Wolves is destroyed in the warp. Scyrak the Slaughterer kills the Chief Librarian of the Worldeaters as the Legion turns to the worship of Khorne. Iron Warriors Traitor Legion virus bomb Tallarn and lay siege to the planet. Reinforcements pour in from both sides of the conflict. Although the Imperium is eventually victorious casualties are severe, such as the Ultramarines with only 1 in 10 surviving. Battle of Molech - Three Titan Legions and over a hundred IG regiments and Knight households defend Molech against the Warmaster Horus and his armies. Knights of the Ruling Household (Devine) are seduced by Slaanesh during the initial stages, and betray Imperial forces during the main Chaos assault. Only 1 in 100 Imperial soldiers survive the battle, the future Daemon Knights of Slaanesh daemonic war machines are from House Devine. The Emperor's Children fall upon the civilian population turning more than a million prisoners into an array of drugs for their pleasure. The Emperor, Rogal Dorn and Sanguinius teleport onto Horus's battle barge, Sanguinius is separated from the Emperor and chances upon Horus. Horus offers him a place by his side and pick of human worlds, but Sanguinius refuses and is slain by the Warmaster in single combat. The Emperor then kills Horus and is so badly wounded that he is incarcerated within the Golden Throne to preserve his life energy. Great scouring. Rebel forces throughout the galaxy are exterminated (Chaos forces known as Traitor Legions retreat to the eye of terror.). This marks the end of the Horus Heresy. High Lords of Terra convene to provide guidance in the absence of the Emperor. Roboute Guilliman, Primarch of the Ultramarines Legion, compiles the first Codex Astartes. This volume lays down new organisational doctrine. This results in the Second Founding of Space Marines. Loyal Space Marine Legions are broken down into smaller Chapters, each numbering roughly 1,000 fighting troops, so that no one master can wield as much power as Horus did. 23 new chapters are created. One Chapter retains name and heraldry of Legion, other Chapters re-named and given icons and uniforms as detailed in Codex Astartes. The Grey Knights are founded in secrecy at this time as a Chapter specifically tailored to destroy daemons, it is not known from what geneseed they were created although rumours speak of the Emperor�s own geneseed. Chaos forces retreat into the Eye of Terror. Worldeaters fight Emperor's Children on the daemon world of Skalathrax. Kharn's betrayal shatters the once united Worldeater Legion into separate, roving warbands. Primarch Leman Russ of the Space Wolves takes his most favored retainers and departs from the Feast of the Emperor's Ascension, never to be seen or heard from again except in visions. His armor is discovered during the second Great Hunt at the Temple of Horus on Rudra, a world on the edge of the Eye of Terror. The surviving Wolf Lords of the Space Wolves gather together and elect Bjorn their leader, awarding him the title Great Wolf. Bjorn gathers together the Chapter and announces the Great Hunt in an attempt to find Leman Russ. The Great Hunt ends in failure and sadness. The first prototypes of the Vindicator Close Support Armored Vehicle are created during the third Rothern I pacification by Techmarines of the Ultramarines. 7th Founding, Fiery Lions chapter created out of Ultramarines geneseed. Fiery Lions chapter is issued the infamous Charter of Parmenio. Magnus the Red, Primarch of the Thousand Sons launches a series of devastating raids on the worlds near Fenris in revenge for Prospero. As well, Magnus taunts the Great Wolf Harek Ironhelm in visions. An obsessed Ironhelm assaults what he believes to be the Thousand Sons' secret base on Gangava. In reality, the Thousand Sons' Fleet besieges Fenris. For forty days and forty nights, the defenders under the leadership of the Dreadnought Bjorn the Fell-Handed hold them off as a force of scouts under Haakon Blackwing are dispatched to Gangava and Harek. Shamed and furious, Harek Ironhelm meets Magnus in battle on the slopes of the Fang itself. Although he inflicts a terrible wound on Magnus, Harek is overcome and his crypt later becomes a shrine to the Space Wolf Rune Priests. Temple of the Saviour Emperor recognised as the official religion of the Imperium. Last of the loyal Primarchs disappears. Ecclesiarch Veneris II becomes a High Lord of Terra. (First member of the Monistorum to be so honoured). Administratium surpresses Colonel Van Dyson's "The Dark Eldar: Their Methods and How To Defeat Them, By One Who Has Done So." Inquisitor Damne reports on Blood Angels and successors follow unconventional and deviant gene-replication practices which has led to the debasement of their gene-seed. Inquisitor Damne also reports on rumors of "Red Thirst" and "Black Rage." Rogue Trader Dausen makes contact with the Squat Home World, Terlaken B3 Svyz, and notifies the Imperium. Orders for termination are suspended awaiting a reply and the dispatch of an Inquisition research team. The following period of history is known to the Squats as the Age of Rediscovery. Dark Founding (13th). Unknown number or fate of chapters in this founding. Holy Synod moves to Ophelia VII, power of the Ministorum grows as Frateris Templar, the military offshoot of the Ministorum is formed. Greigor XI elected Ecclesiarch and announces that the Adeptus Ministorum would return to Earth as the true center of the Faith is Terra. This and other reforms deplete the Ecclesiarchy's funds requiring an increase in tithes. Greigor dies shortly afterwards from food poisoning. Adeptus Ministorum completes return to earth. The M-Galaxy Lasgun becomes standard issue for the Imperial Guard. Incidence of warp storms increases. Imperium reels as Orks and other races rampage throughout a divided galaxy. Period known as the Age of Apostasy begins during which time the Administratum and the religious order of the Ecclesiarchy tore the Imperium apart from within. Sometime during this period the last of the Squat strongholds seceded from the Imperium. "Mythos Angelica Mortis" detailing history/myths of Adeptus Astartes transcribed. The Master of the Adeptus Astra Telepathica, Lord Phaedrus, is assassinated by Lord Vandire, the Master of the Administratum and Ecclesiarch and man behind the current corruption in the Imperium. Phaedrus could see through Vandires plots and deceits revealing his intentions. In the anarchic Wars of Vindication the Grand Master of Assassins himself fell to the Assassin's knife. Or so it appears, suspecting such a plot the true Grand Master had replaced himself with a loyal Callidus assassin. After defeating Vandire's assassins in the conflict that involved nerve gases, neutronic warheads, and other banned weaponry the Grand Master departs into a self-imposed exile. Thereafter, the High Lords took special care to control the Officio Assassinorum so that, in theory, only traitors and heretics need fear it today. Upon the death of High Lord Vandire, Sebastian Thor becomes 292nd Ecclesiarch following a two-month trial at the hands of the High Lords of Terra. Thor begins to reform the Adeptus Ministorum, including such items as the Decree Passive issued by High Lords of Terra forbidding the Ecclesiarchy from maintaining an "armed force of men." The Frateris Templar are duly disbanded but the Daughters of the Emperor (Adepta Sororitas) remain. The Fiery Lions Chapter of Spacemarines is awarded with the Retribution Class Battleship Unguis Leoninus for acts of supreme bravery during the conflict. Sebastian Thor, 292nd Ecclesiarch of the Adeptus Ministorum dies on Terra at the age of 112. Over seventy million pilgrims file past the three-mile long passageway leading to his tomb in the first year alone. Ecclesiarch Alexis XXII succeeds him. Ecclesiarch Alexis XXII splits each of the Adepta Sororitas Convents into two Orders each, founding the Orders Militant of the Ebon Chalice, Valorous Heart, Fiery Heart and the Argent Shroud. Diplomatic relations between the Imperium of Man and the Alaitoc Craftworld cease due to the outbreak of the Beelze Conflict. STC Quest. Chief Artisan Tilius begins search for working STC. Razorback STC discovered by Tilius. Inquisitor Horst comments "The Space Wolves encourage genetic deviancy and show extreme unorthodoxy in their tactics and organisation." Liber Astartes states Ultramarines Legion is responsible for nearly 3/5ths of current Space Marine Chapters gene-core. Angels of Wrath Chapter is eliminated by the Adeptus Ministorum following rejection of replacing its chaplains with Imperial missionaries and erased from Imperial records. The only survivors are from the Tenth Company. Urhua Thereaux, Assassin of the Venenum Temple is dispatched to assassinate the renegade Governor Yawell of Morisha. Urhua's starship is caught in a warp rift, holding the vessel in stasis for 698 years. The Land Speeder Typhoon (LST) variant is introduced upon recovery of STC information A98726J.LST Sargon. Thronton IV. A Callidus Assassin infiltrates Imperial Commander Brassika of Orlenza's court. Her deception allows for two regiments of Imperial Guard to outmaneuver the renegade forces. Upon revealing herself, the Callidus eliminates the Imperial Commander and escapes. Unaware of her situation, Urhua Thereaux arrives on Morisha to find Yawell long dead and replaced by an anti-Imperial democratic committee of roughly 1,000 members. To complete her mission, Thereaux kills all the committee members after spending three days poisoning all the chairs in the auditorium prior to a meeting of the full committee. Colonel Brin of the Imperial Guard is executed as a Heretic following his comparison of the Eldar and the Imperial Guard. Tech-Engineer Pilamist investigates wreckage of an Eldar Fire Prism grav tank following a battle between the Eldar and the Pain Bringers Space Marine Chapter on the third moon of Vida's World. Tech-Engineer Pilamist transmits a report on an Eldar warpgate portal found in the Trojan Sector. Ecclesiarch Deacis VI creates the Orders of the Bloody Rose and Sacred Rose, also extended the Adepta Sororitas Convent buildings to accommodate almost 15,000 warriors each. Genetor-Major Xabriol does research on the Orkoid species. Amadeus Kreutz writes "Summary of the Myths, Legends, and Beliefs of the Eldar Race." Lord Kegarin, Planetary Governor of Salamander V, grows paranoid of Salamander IV and VI. Believing they crave his world's mineral wealth, Kegarin builds the Doomsday Cannon and declares himself System Overlord. The launch of Project Apocalypse, sets off a devastating system war. Squat Civil War. League Thor fights League Grindel over the exploration of the lost stronghold Dargon. Squat cyclops invented. The fleet of Rogue Trader Lukurius Vanlessa departs to the eastern fringes. Long delays in the warp result in the Santissima Terra of Vanlessa's fleet to return four centuries later. Her captain, Inigo Portfell, had layered the ship with his discoveries. The ship itself is now part of the Paternoval palaces on Terra. Nexxas Exculpation - The Emperor's Children are defeated by an Imperial Army corps. Following their victory, an Ordo Malleus warship destroys the corps via orbital bombardment. Records are altered to show a renegade Eldar force was responsible. Upon termination of the Vortigern Crusade, Rynn's World is granted to the Crimson Fists as their homeworld. Their fortress-monastery is established in the inhospitable Hellblade mountains of the southern continent. Balthazar van Heppel, Ministorum Envoy, files his report "Investigation of the Religious Beliefs, Rituals and Practices of the Legionnes Astartes". 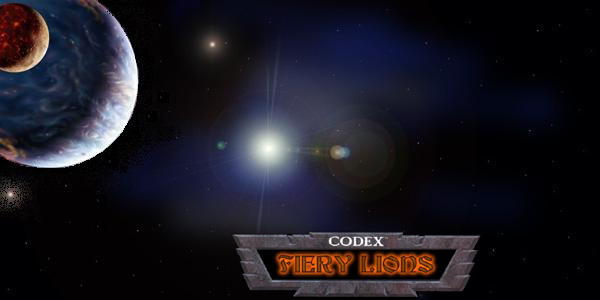 Fiery Lions captain Wilhelmus Van Der Docken, against al advise, commands his cruiser into a particularly volatile area of Warp space and was lost to never be seen seen again. Abaddon overthrows Lord Teknos of the renegade Forge World of Baji IV. The traitor tech-priests swear allegiance to Abaddon and return with him to the Eye of Terror. Abaddon's tech-priests begin construction of a massive stellar vessel within the Eye of Terror, using data recovered by Abaddon's forces from the halo world of Lanamorgstein. Abaddon's advisor, Zaraphiston, leads Abaddon to the Daemon world of Spawndeath. Abaddon returns and urges his tech-priests to increase their efforts to complete construction of the Planet Killer. Abaddon's agents and forces search for rumors which will lead to the location of the ancient artifacts known as the Hand of Darkness and the Eye of Night. Abaddon orders his forces to capture these items at all costs. At the Conclave of Gathalamor over 800 Masters of the Space Marine Chapters reswear their oaths of loyalty at the tomb of the Great Confessor. Terra and Mars reforge their alliances at the Treaty of Ceres. Lord Commander Solar Macharius begins his crusade. During this Crusade the high technology world of Adantris V is finally overcome when a comet is redirected into it. Upon the death of Macharius, the Lord Commander Solar's conquests erupt into civil war. Tallarn 3rd Regiment (Desert Tigers) virtually destroyed fighting for Warmaster Solon during the Macharian Heresy. The Macharian Heresy is finally ended by a Space Marine Crusade nearly seventy years later. Compiler Atreax lists named Successors to the Ultramarines (Apocrypha of Davio) as Novamarines, Patriarchs of Ulixis, White Consuls, Black Consuls, Libators, Inceptors, Praetors of Orpheus, Genesis Chapter. Although reference is made to the Apocrypha of Skaros which lists 23 Second Founding Chapters but fails to name them. Zaraphiston's visions show Abaddon the Arx Gap, a stable route out of the Eye of Terror that bypasses the heavily defended Cadian Gate. Abaddon begins his Ninth Black Crusade by dispatching a vanguard fleet to destroy the Imperial monitoring station on Arx. The assault on Arx wipes out the defending Imperial Guard and station crew. The scout frigate Ascendance receives a plea for help. Reinforcements four months later find no survivors or sign of those responsible. Inquisitor Horst investigates. The Planet Killer is completed and a massive effort begins to find enough crew to man it. Zaraphiston binds several daemons to the huge vessel, greatly reducing the manpower needed to run it. As warp storms begin to engulf the Gothic Sector, Abaddon commands his subservient Warmasters to attack. Abaddon leaves the Eye of Terror through the now clear Arx Gap, ordering his tech-priests to follow once the Planet Killer is operational. Several patrol vessels in the Athena Sector find a number of Imperial vessel drifting uncontrolled. The crews are all dead, disease fostering corpses. Xebal Astolax, Magos Biologis registers evidence of blisters, sores and fungal growth as cause of death. Rumors begin of the reappearance of the Plagueclaw. Watchposts around the Cadian Gate are put on close alert and Naval patrols are increased around Cadia. Chaos cult activity increases in the Segmentum Obscurus. Attacks are made on the hive world of Morganghast. A Chaos attack on the Imperial world of Purgatory results in the disappearance of the artifact known as the "Hand of Darkness". Another Chaos assault on the Ratling world of Ornsworld results in the theft of the Eye of Night, an artifact with mythical connections to the Hand of Darkness, and the death of millions of Ratlings. A frigate-sized craft is detected in orbit of Hobart's planet. Seventeen minutes after first contact, a massive energy pulse is detected and the craft's energy signal disappears. An investigative team is dispatched to the wreckage to establish the source and nature of the unidentified craft. A cataclysmic shockwave passes through the Warp engulfing the Gothic Sector and cutting it off from the rest of the Imperium. Abaddon enters the Gothic Sector, using the Hand of Darkness to capture the Blackstone Fortress at Rebo V. He then makes a rendezvous with the Planet Killer and takes it as his flagship. His first target is the Ecclesiarchy Cardinal world of Savaven, population 14 billion. Cardinal Klien orders the Imperial Commander to refuse Abaddon's demand for unconditional surrender. Abaddon uses Savaven as a trial for the Planet Killer, destroying the planet along with its population in less than an hour. The Planet Killer arrives at Saviour, a highly populated system in Lysades sub-sector. After revealing the Planet Killer, Abaddon demands that Saviour's orbital docks begin producing ships for the Chaos fleet. The commander of Saviour has little choice but to agree, the lives of eleven billion people are at stake. With the threat of the Abaddon's Planet Killer, more and more worlds of the Gothic Sector surrender. The Commander of Brinaga (in the Brigia system) receives warning that Abaddon may attack soon, in an attempt to capture Blackstone VI. All communications are lost with Brinaga shortly afterwards. A patrol vessel reports that the existence of Brinaga can no longer be confirmed. Abaddon takes the Planet Killer to Fularis, where Blackstone I orbits Fularis II. While the captured Blackstone Fortresses destroy Fularis II. Abaddon uses the Planet Killer and its attendent fleet to shatter battlegroup Merlin that protects the system. Unopposed, the Planet Killer destroys the second moon of Fularis III, long suspected of being the lair of an Eldar pirate band. The Planet Killer is spotted moving towards Stranivar in Bhein Morr. Stranivar has been blocked for two years, but still refuses to surrender. Communications are lost with Stranivar, an investigating fleet discovers much of the hive world devastated by meteors created by the destruction of all three of its moons. The Lysades sub-sector of the Gothic Sector is almost entirely overrun by Chaos. An Imperial patrol flotilla encounters the Planet Killer as it leaves warpspace, entering the Corain system. They attack immediately before the rest of Abaddon's fleet can arrive. After causing considerable damage, the Imperial fleet is finally driven off by the Planet Killer's immense arsenal. Abaddon's forces invade Corain VI and take over its mines.  Loyalist guerrilla fighters report that considerable amounts of trikali crystal are shipped into orbit, where the Planet Killer is stationed. Trikali crystal is mainly used in the anti-magnetic containment fields of warp generators and plasma reactors. Abaddon invades Drakulu system and enslaves the two million inhabitants of the system's main planet, an agri-world. It is widely believed that many of these end up as sacrifices for Zaraphiston's magics, the remainder forced into service as crews on the Planet Killer and other vessels. Abaddon sends his battlefleet accompanied by the three Blackstone Fortresses to try and stem the Imperial reinforcements by attacking the Tarantis system. The combined might of the Blackstone Fortresses results in the system's sun going supernova, in hopes to prevent the Imperium from using the jump point. Abaddon takes the Planet Killer to neighboring Boeti. Utilizing its power, he eradicates the Adeptus Astra Telepathica facility in Boetia's asteroid belt, cutting off the navigational beacon that would have helped any Imperial ships daring to jump through the warp storms. As Zaraphiston predicted, Warp storms in the Gothic Sector start to abate and Imperial reinforcements from the Tamahl Sector arrive along with several Space Marine Chapters leading to a new Imperial offensive. Cooperating with the Eldar, Lord Ravensburg outmaneuvers Abaddon's fleet arriving at Schindlegeist five days before Abaddon. As the Blackstone Fortresses move towards Schindlegeist's star, the battlecruiser Flame of Purity dives into the middle of the converging energy waves expending the Fortresses' power. Abaddon flees with two Fortresses leaving the third behind. The Angels of Redemption along with Imperial Naval personnel board the Blackstone Fortress resulting in its destruction. The other Blackstone Fortresses in Imperial possession also self-destruct at the same time. The status of the Fortresses in Abaddon's possess is unknown. The Planet Killer under the command of Warmaster Malefica Arkham is dispatched to attack Arimaspia as a diversion. Although Abaddon is defeated at Schindlegeist, the Planet Killer succeeds in destroying two of the five planets that make up the Arimaspia system. Abandoned by Abaddon, Malefica Arkham tries to use the Planet Killer to carve out an empire of his own. The world of Gonnacrash in the Quinrox Sound swears sovereignty to his rule, but, as he moves the Planet Killer to Kharlos II, Arkham is discovered by Omega squadron, freshly arrived from outside the Gothic Sector. With no support vessels, Arkham decides to attack, but the Planet Killer is eventually destroyed by the continuous torpedo fusillade of the four Lunar class cruisers. The retaking of the Gothic Sector takes eight years. The High Lords of Terra reward the members of Battlefleet Gothic with a specially constructed monolith bearing their names in the Chamber of Heroes in the Imperial Palace. An expedition is launched by Inquisitor Horst to recover the hulk of the Planet Killer for study by the Adeptus Mechanicus. No trace of it can be found, and there are rumors of a Black Legion vessel being sighted in the vicinity. Although its destruction cannot be confirmed, there have been no confirmed sightings of the Planet Killer either. Inquisitor Horst departs to discover the fate of the Blackstone Fortresses in Abaddon's possess. He is never heard from again. Hive World Terrus saved from Tyranid attack by Space Marines decorated with skulls and flames. Inquisitor Drako visits Stalinvast. Hydra found (the 5th/6th potential Chaos power) . Stalinvast is destroyed. Unknown Space Marine force sighted on Althor IV (believed to be Legion of the Damned). Several Inquisitors are mysteriously murdered and the planet Sabulord is incinerated. During this period, Inquisitor Drako raids the Eldar Black Library, but later is killed within the Eldar Webway. Magos Biologis Rastex reports on the "Growth patterns of Orks in variant societies" finding that prolonged periods of conflict and denser populations result in larger Orks with a greater muscle:mass ratio. Scribe Aldolphus Neld's "Summary Report on the Traitor Legions of Chaos Space Marines" is compiled at the behest of Inquisitor M. Horst. First Battle for Armageddon. Armed rebellion breaks out in six hives. The revolts are put down on the second continent, but continue in the widely scattered hives of Armageddon Prime. A vast space hulk arrives carrying a massive daemon world army led by the Daemon Primarch Angron of the Worldeaters Legion. After taking Armageddon Prime, Angron stops to draw more chaotic energy to the planet. Reinforcements arrive from the Space Wolves Chapter. As Angron leads his forces against Infernus and Helsreach hives, Logan Grimnar releases his reserve of a full company of Grey Knights. Teleporting into the center of Angron's forces, the Grey Knights do battle with the Daemon Primarch and his Greater Daemon bodyguard. In the end, Angron is cast back into the warp by remaining Grey Knights which number less than a dozen. The Space Wolves launch a counter-attack routing and destroying the Chaos horde. The population of Armageddon is sterilized and marched to huge forced labor camps isolated from the hives, where they spend the remainder of their days. Billions of new workers are brought in to repopulate the planet. Logan Grimnar refuses to forgive the Adeptus Administratum for what he sees as a great betrayal of the innocents. Ultramarine Chief Librarian Tigurius reports Ork raiders are repulsed with aid of black-armoured Space Marines. Adeptus Explorator team on Cobol II attacked by Machine Warriors. Survivors assisted by mysterious, black-armoured Space Marines. No evidence found of either forces. Explorator team held for testing. The Daemon Primarch Angron of the Worldeaters Legion regains the ability to return to realspace. Logan Grimnar becomes the new great wolf of the space wolves. Imperial research post on Genhemor III attacked by Chaos raiders. Survivors claim they were saved by Space Marines that appeared from nowhere and then vanished. Survivors held for further questioning. The Corinthian Crusade - Marneus Calgar is elected leader of a combined Space Marine force of Ultramarines, Lamenters, Marines Errant, Angels of Absolution and Silver Skulls on a seven year crusade against the Ork empire of Charadon. This delays the invasion of Waaagh Argluk by some thirty years. Blood Angels from the Imperial battlebarge Mayan purge a Genestealer infestation from the Space Marine vessel The Sword of Halcyon. Siege of Tulwa - An infiltration force lead by Marneus Calgar destroys Iron Warriors' Fortress of Pain. Valos reported stripped of life (hive fleet Behemoth). First Tyranic War. Arrival of Hive Fleet Behemoth. Battle of Macragge - Hive fleet Behemoth attacks the Ultramarines on their homeworld Macragge. Fleet of Ultramar led by Calgar. The Tyranids are defeated but at a great cost, the entire First Company of the Ultramarines is wiped out. Ork Freebooter Odlog Blackskar leads a Freebooter army on raids in devastated systems. During Battle for Verdan III, Odlog's Flagship crippled by Blood Angel cruiser Tycho's Revenge and crashes on nearby deathworld Extremis. The Orks are found dead and Blood Angel force runs into Hive Fleet Leviathan. Captain Perdo of the 2nd Company is the only survivor. Scouring of Quintarn - Forces led by Marneus Calgar drive Ork scavengers from triple system of Quintarn, Tarentus and Masali in the aftermath of Hivefleet Behemoth. Space Marine Chapters estimated to be between 989 - 1021. Losses consist of 13 Chapters lost in Warp; 21 Irrecoverable Battle Losses; 9 Gene-seed failures; 4 Inquisitorial Purges; and 16 lost to other circumstances. Purgation of Jhanna - Two Ultramarine companies led by Calgar retake rebellious oceanic cities of Omon and Vorlencia despite rebel's Chaos Marine allies. Battle of Arconar - Marneus Calgar defeats a powerful coalition of Eldar Raiders on feral world of Arconar. Battle of Knarts Landing - Marneus Calgar defeats rebel army of General Dornal over thirty day battle on the industrial world of Knarts Landing. Ultramarine casualties less than 17%. First Battle for Armageddon. (Alternative Date - for more info see 444/m41) Chaos incursion led by Angron and the Worldeaters who are beaten back by the Space Wolves and the Grey Knights. Massacre at Sanctuary 101. Necron force attacks Order of Our Martyred Lady force defending Sanctuary 101 and led by Sister Purity. Sisters completely annihilated to the last warrior. Badab War. Tiger (Later known as Astral) Claws' master, Lufgt Huron, revolts ordering the destruction of an Imperial investigation fleet (23,000 dead) orbiting Badab. Following the attack, Huron declares himself Tyrant of Badab and announces its succession from the Imperium. Fourth Quadrant Rebellion. After the Tiger Claws hold off two expeditionary forces the Lamenters, Mantis Warriors, and Executioners chapters join their revolt. Communication is lost with the Squat worlds of the Kapellan League. Fire Hawks retaliate when their supply ship is captured by the Mantis Warriors. The Marines Errant are recalled to protect Imperial shipping. Red Scorpions and Minotaurs chapters are called in to suppress the revolt. Incidence of Ork invasions increases in the Ultima Segmentum. Lamenters are caught in an ambush and surrender after ship-to-ship fighting. Mantis Warriors, Executioners, and Lamenters are sent on penitent 100 year Crusade. As the Imperium closes in on Badab, roughly 200 Tiger Claws escape through the Imperial blockade and disappear into the Maelstrom. The fate of Lufgt Huron is unknown. Azrael becomes the Master of the Deathwing. Inquisitor Hellar compiles his report on Chaos Lords: Abaddon the Despoiler, Kharn the Betrayer. Archaeological team discovers ancient Titans in stasis on Volistad. The Titans were part of the original terraforming mission and had been untouched for almost 7,000 years. Upon the death of the last Grand Master, Azrael ascends to the position along with the title Keeper of the Truth. Tzeench cults revolt on the world Chicano. World lost. (Second) Battle for Armageddon. Ork waaaaargh! led by Ghazghkull Thraka, assaults the Imperial hive world Armageddon Secundus. Planetary Lord Heman Von Straub's Forces are saved by Commissar Yarrick's performance, with much support from the Blood Angels who have been called the Saviours of Armageddon. Eldar Commander Yriel of the Iyanden Fleet is stripped of his command after leaving Iyanden prey to a Chaos fleet whilst leading an attack into the Eye of Terror. Enraged, an Outcast Yriel together with members of his old crew form Yriel's Raiders. Balur Crusade - Marneus Calgar leads a crusading Space Marine force against worlds of Eastern fringe. Begins with scouring of Ork-held Balur and ends with devastation of Boros. Fire Hawks Chapter fortress Raptorus Rex sent from Piraeus to Crow's World sector to investigate Dark Eldar. They disappear in route. Chief Librarian Tigurius of the Ultramarines files his account of the Legion of the Damned appearance during the Battle for the Great Bastion against Orks. Exploration of Necrotyr Pyramids on Angelis (from diary of Explorator Terson). Hive fleet Perusus is detected by the Ultramarines. Warlord Snagrod begins his drive towards the rule of the Ork empire of Charadon. Navigator Duran Ocellati discovers a warp route into the wheel of fire, a sector of the Ultima Segmentum that had previously been inaccessible. Last encounter with hive fleet Perusus. It drifts out system. 7th Mordian Regiment raised and sent to pacify the Feral world of Flotis III which was populated with Orks using native feral humans as slaves. An Imperial patrol notes unexplained scenes of devastation in the Ork sector of Jakor-Tal by mysterious power armoured figures. Adeptus Prefectus Primus Wilhelm Franz sends report on the Planetary Background of Volistad following Waaa-Skroll. Orks commandered by Gordal Luggub attack Crimson Fist Marines on Rynns World. Warlord Snagrod, the Arch-arsonist of Charadon, invades Badlanding. The 18th Mordian, 24th Lammas and 49th Boros regiments commanded by Commissar-General Alhaus Baldur are defeated within days. Snagrod boasts of his ability to destroy the Rynn's World, site of the Crimson Fists Chapter's Fortress-Monastery. In retaliation, the Fourth Company of the Crimson Fists assaults Badlanding. The failed attack on Warboss Uzrog Mag-Kull's warband results in a loss of 56 Space Marines out of the company's 84, Captain Drakken is among the fallen. Any following raids are suspended indefinitely and all companies of the Crimson Fists are recalled to Rynn's World. Warlord Uzrog attacks Rynn's World. A rogue plasma missile devastates the Crimson Fist's fortress-monastery. Only a handful of Space Marines and Chapter Master Pedro Kantor survive. The Crimson Fist fall back to New Rynn City to hold out against Uzrog's siege. Blood Angel's Terminators are killed while exploring a space hulk. Second Tyranic War. Hive fleet Kraken is first detected. Vicious battles are fought across the whole of the Ultima Segmentum. Iyanden craftworld is nearly destroyed by Hive Fleet Kraken(4/5ths of population slain). Yriel returns from exile to Iyanden with reinforcements. Battle of the Giant's Coffin - After their homeworld of Seth is destroyed, Chapter Master Thorcyra leads his remnant force of the Scythes of the Emperor in a final defense against Tyranid forces (Kraken). Their fate remains unknown to the Imperium. Space Marine Chapter Lamenters are badly depleted in campaign against Hive Fleet Kraken. Assault on Ikkyo, a small agri-planet near Ultramar. Tyranids from Hive Fleet Kraken attack a defense force of Iyanden Eldar and a small detachment of the Ultramarines 4th Company. Marine/Eldar victorious. Inquisitor Carrax leads Strike Force Damacles against a force from Hive Fleet Kraken. Tyranids victorious. The Last Keeper of the Library Sanctus of Terra, Cripias, records the history of Mankind. Adeptus Cronevald judges Cripias as a heretic. Cripias' works are impounded and sealed. The battle of Korsk II - Lord Vorlak leads a rebellion that is crushed by Marines in a major tank battle on the plains of Korsk II. Mentor Legion reports a new Genestealer strain onboard a drifting hulk Hades in the Eastern Fringe. Strike-Cruisers Beloved Martyr and Ultimate Sacrifice of the Mentors sent to capture genetic samples. Half the Mentors' 1st Company is overrun by Tyranids. The hulk powers up and warps out before Mentors can counterattack; half of the Chapter's Terminator Suits are lost as a result. Defense of Ichar IV - Marneus Calgar commands defence of Ichar IV, a vital industrial world on the Eastern Fringe, along with Imperial Guard and Eldar against invaders of Hive Fleet Kraken. Outbreak of Zombie plague in Necromunda Underhive. The Imperial world of Piscina IV is attacked by Orks under the joint leadership of Ghazghkull Thraka and Nazdreg, Master Belial of the Dark Angels beats them off after a short but bloody campaign. Veteran Sergeant Naaman dies in the line of duty attempting to disable Ork tellyportas. Nazdreg's space hulk Scylla is destroyed in orbital battles, but it is believed the Ork Warlord escaped. Inquisitor Fortex, Credo and Alexio along with the Salamanders Chapter eliminates the Temple of the Star Child on Levilnor IV, believed to be dedicated to the secret worship of Tzeentch. Inquisitor Kryptman detects emerging pattern of Hive Fleet Leviathan. Heresy on Septimus Prime. Governor Hyphaestus Septimus backed by a Chaos Space Marine force revolts. The heresy is put down by an Imperial Crusade. Volistad system is isolated by unexplained warp storm. Imperial world of Volistad IV is ravaged by Ork forces under the control of warboss Khorga Skroll. Necron remains are discoved but disintegrate before Adeptus Biolicus can do any proper investigations on them. Coron Celcius found guilty of Heresy in relation to knowledge of Necron files within the Forbidden Vault beneath the Administratium. Ork Warlord Nazdreg Ug Urdgrub is reported to be operating in the Abiaus Sector following reports of an Ork leader in black and yellow armour capable of speaking Imperial Gothic well and using a reward/punishment system on human slave labor. Additional reports also indicate Nazdreg participated in the sacking of Hellaspont. It is believed he is currently seeking a replacement space hulk for the destroyed Scylla. Imperial Fist Supremacy Force Durae, led by Captain Durae, and Imperial Fists warship Redemption of Fire arrive on Duras III and launch attack on Ork invaders in Duras City. Space Hulk Hades reappears near Terra. Terran Imperial Guard 1st Company assaults the Hulk due to lack of unoccupied Marine forces nearby. Their Colonel is overrun and later killed by his troops as he is thought to be implanted by the Tyranids. Imperial forces discover and explore Necrotyr ruins on the desert world of Hydrax IV. Inquisitorial Report on Ahriman of the Thousand Sons filed. Following the interrogation of the Word Bearer Ragnorax by Interrogator-Chaplain Asmodai, Supreme Grand Master of the Dark Angels Azrael initiates a massive "Hunt for the Fallen".